Laura Biagiotti was born in Rome, Italy, in 1943. She graduated in archeology from Rome University, but decided that she preferred a career in fashion designing. She first joined her mother's small clothing company but left in 1965 to set up her own design shop in Florence with partner Gianni Cigna whom she subsequently married Their firm manufactured and exported clothing for the eminent Italian fashion designers Roberto Capucci and Emilio Schuberth. They also had a deal to make ready-to-wear clothes for well-known house of Angelo Tarlazzi. As the company grew so did Biagiotti's aspirations to design her own clothes. In 1972, she presented a small but successful womenswear collection. She became known for working with fabrics of exceptional quality, especially cashmere in the most subtle colours. She took over a company called McPherson Cashmere and started making many garments in this luxury fabric. Her designs are restrained, soft and fluid, the main interest being provided by the detail and fabric. She also creates daywear and evening wear. She is noted for her soft tailoring and loose-fitting dresses. Every Biagiotti collection includes "baby doll" dresses. In 1987, she launched her menswear line Laura Biagiotti Uomo, and women of larger size than 14 have a line callued Laura-Piu. Laura Biogiotti Junior is a line of childrens clothes. Laura Biogiotti sunglasses are also popular. Laura Biagiotti lives in the 15th century Castle Marco Simone, 17 km from Rome. She has used the shape of the four towers of the castle to form her company logo. Her husband Cianni Cigna died in 1996. In his memory Laura founded the Biagiotti Cigna Foundation. The aim is to create scholarships for young designers, enabling them to study abroad. Biagiotti was the first Italian designer to present a collection in China in 1988. In 1994, she opened a boutique in Moscow and the following year was permitted to stage a fashion show within the Kremlin itself, which was a first. 38 Russian models strolled down the catwalk to applause from an enthusiastic audience. In 2000, Laura Biagiotti and her daughter Lavinia Cigna set up Biagiotti Roma, a new fashion house known particularly for knitwear. In 2002, the Biagiotti house celebrated it's 30th Anniversary with great joy. An elegant and sophisticated woody/spicy fragrance for men, which was inspired by the concept of two people; the romance between a man and a woman . In this masculine scent, the top notes open with fresh lime and incense blended with anise root. The heart is composed of coconut milk with galanga and sage. The base notes are patchouli, vetiver and opoponax. 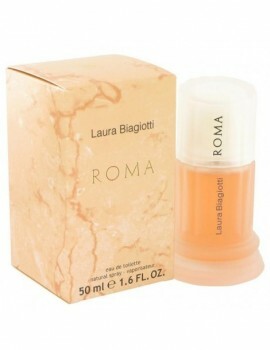 Launched by the design house of laura biagiotti in 1988, roma is classified as a sharp, oriental fragrance . This feminine scent possesses a blend of crisp and fruity resins, evening flowers with base notes of vanilla and musk. It is recommended for casual wear. 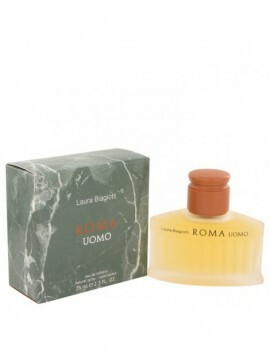 Launched by the design house of laura biagiotti in 1994, roma is classified as a sharp, oriental, woody fragrance . This masculine scent possesses a blend of a crisp oriental blended with sandalwood and patchouli. It is recommended for daytime wear.